I am still on cloud nine from my cooking demonstration at Williams-Sonoma on Saturday! Thank you so much to all of you wonderful readers for your love and support. It was truly the best day filled with so much joy, and of course, lots of cooking! I served up 4 1/2 gallons of soup samples, which is CRAZY! Hopefully that means you enjoyed it as much as I did! 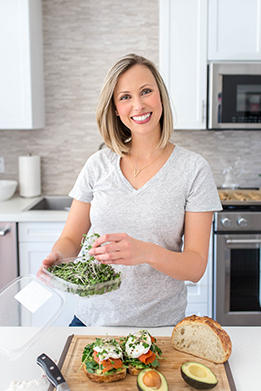 I am looking forward to having more of those events in the future, so stay tuned and don’t forget to subscribe to the blog and follow me on social media so you stay up to date on the latest recipes and announcements. Even though I’ve been really busy and running from one place to another, I have somehow managed to avoid getting sick! Let’s hope I haven’t cursed myself by saying that. But seriously, I don’t know how I’ve avoided it. I will say that I have been taking my vitamins, making sure I get plenty of rest, and drinking a lot of water, so maybe being on offense has helped keep the bugs away. 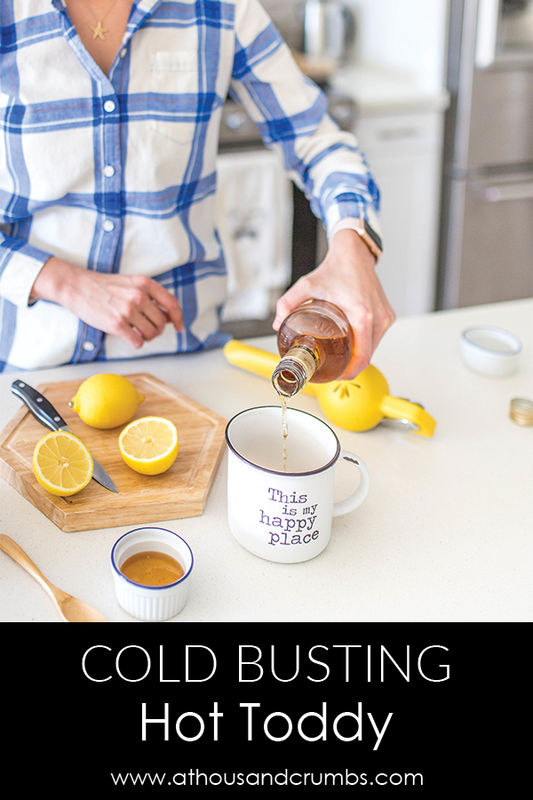 With that said, there are a few tried and true homemade remedies that I lean on when I am feeling under the weather, one of which is this easy rum hot toddy. Think of a hot toddy as homemade NyQuil. It is warming, soothing on your throat, and feels like you’re giving your body a cozy hug. It has been used for decades as a natural remedy for easing common cold aches and pains. And it turns out, there is actually pretty great (scientific) reasons as to why it works. Best of all, it is made with four simple ingredients – gold rum, lemon juice, honey, and hot water. The alcohol helps fight off infection and microorganisms, and it also helps your mucus membranes fight the infection by dilating your blood vessels. 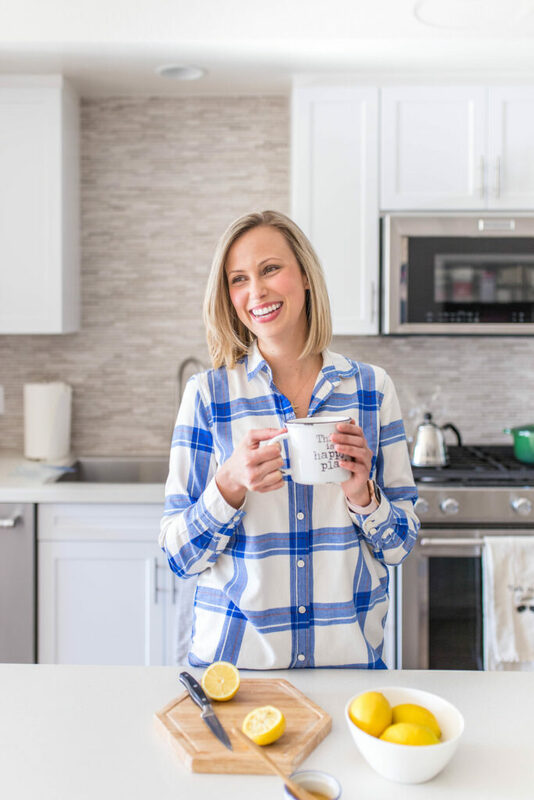 In combination with the warm water, lemon, honey, it’s the perfect drink to help clear up your symptoms and lull you into a sweet slumber, without the typical NyQuil hangover the next day. But be forewarned – there is such a thing as too much toddy. With alcohol as one of the main ingredients, it is important not to overdo it. 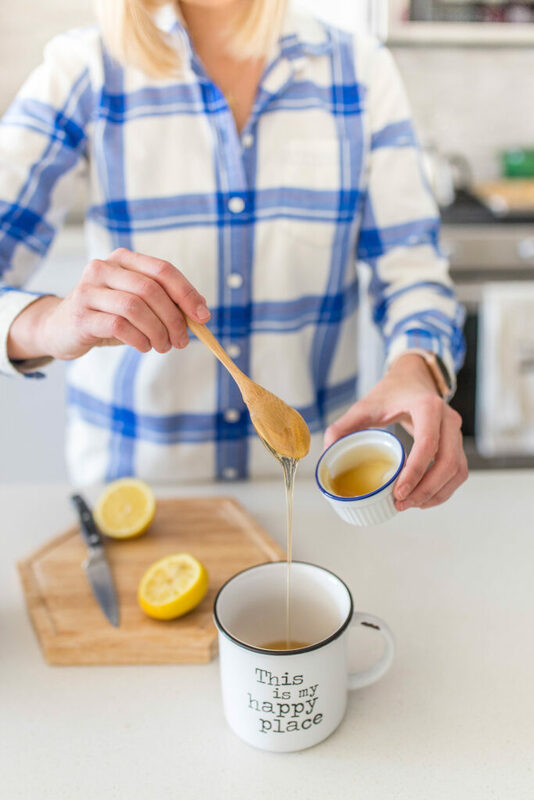 One hot toddy before bed is all you need to relax and get some much needed shuteye to help your body heal. There are a lot of hot toddy recipes swirling around the internet, especially using whiskey. I am (obviously) partial to this one, but feel free to experiment! The principle is still the same whether you use whiskey or rum. What are some of your go-to remedies when you’re under the weather? Share below! Mix rum, lemon juice and honey in your favorite mug. Fill mug to the top with hot water and stir until the honey dissolves. Sip slowly, and relax.